A fantasy adventure novel in which a young pregnant woman is the key to preventing an apocalyptic future. One man will devastate the world, and one warrior from the future must stop him. Arek is destined to turn the world into a desolate wasteland, draining the life out of everything on the planet. Future warrior Brenor must cross the Forbidden Lands to reach him, but no one's ever returned from such a journey. Only farm girl Lianna's powers can help him. First, he must convince her he's from the future not the madhouse, and that she can control her Gift, the Destroyer's mastery of the elements. But a predator stalks them, hungry for the energy Brenor's journey from the future unleashed. If Brenor and Lianna can't escape him, their mission will end before it's even begun. 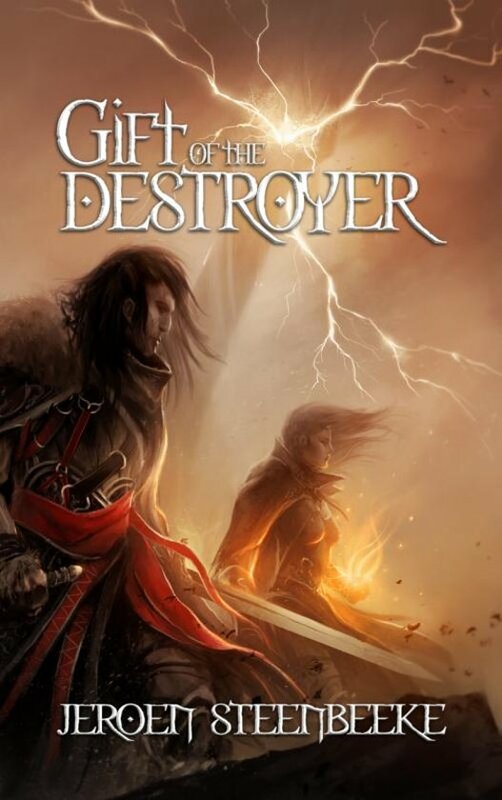 Gift of the Destroyer is een erg spannend boek dat je niet kunt wegleggen. De karakters worden erg goed omschreven en het verhaal is uitstekend opgebouwd. Zeker een aanrader als je van fantasie houdt.